Another busy week as we build up to the Geneva Motor Show next month has resulted in even more exciting car news, including a Performance-spec Audi Q3 RS, a Porsche Panamera Sport Turismo estate and all the info regarding Renault's new Formula One car and drivers! Mercedes have officially announced that their new post-facelift SL roadster will start at £73,805. The price is that of their entry-level SL 400, however as you'd expect the Mercedes-AMG equivalent is significantly pricier. At over £100,000 more, the SL 65 is available from £173,295. The engine variants include the 3.0-litre biturbo V6 (SL 400), 4.6-litre biturbo V8 (SL 500), 5.4-litre biturbo V8 (SL 63) and the beastly 6.0-litre biturbo V12 (SL 65). New changes to the car include a new diamond-like grille, redesigned bumpers and headlamps, adjusted vents and air intake, a smoother bonnet, one-piece tail-lights and a whole range of new alloys to choose from. You also have some slight interior adjustments including selectable ambient lighting, a sportier instrument cluster and more. The car will be available from April in the UK, so expect to see these on the road pretty soon! Is that... a Porsche Panamera Sport Turismo estate? 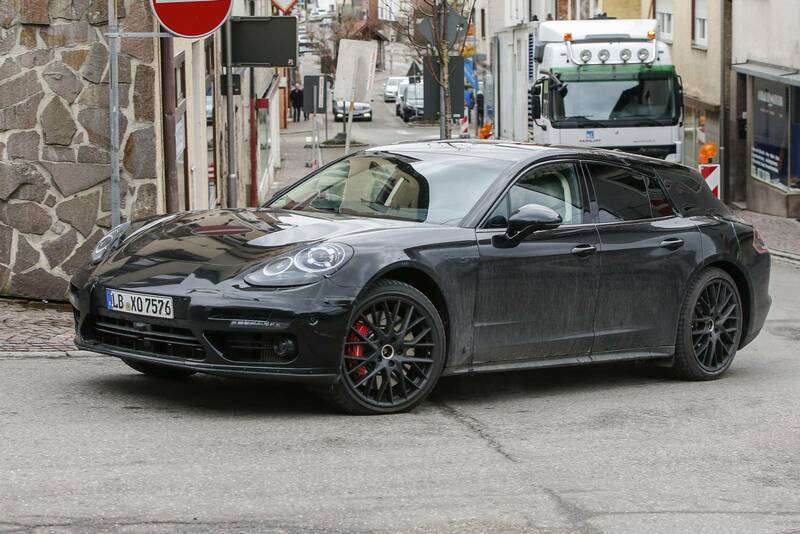 Rumours of an estate (or more specifically 'shooting brake') version of the new Panamera emerged in 2014 but it seems that the car is definitely happening after it was spotted in disguise. Courtesy of the folks at GTSpirit, you can clearly see the Panamera estate alongside it's saloon equivalent. As you'd expect the cars are pretty similar, with the only real difference being that distinctive estate-like shape. The regular Panamera saloon will arrive later this year, but we imagine the estate equivalent will probably be available soon thereafter, so expect a 2017 launch. 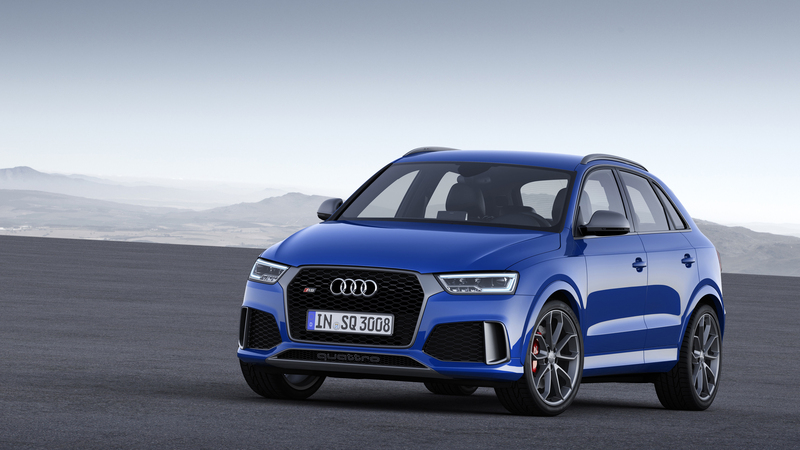 Little is known about what the cars will come equipped with under the hood, but rumours suggest various engine options will be available including the whopping 562bhp biturbo V8 found in the Cayenne Turbo S.
The Audi RS Q3 arrived in 2014 and its now been announced that a Performance version is due to arrive. The car features the same 2.5-litre five-cylinder turbo that the standard edition has but with an extra 27bhp and 11lb ft of torque, meaning an impressive 362bhp and 343lb of torque powering its four wheels at a rapid 0-62mph time of 4.4 seconds. Other changes include a matt-titanium finish on the front grille, air inlet duct, roof rails, rear diffuser and parts of the roof mounted spoiler. There's also some bespoke 20-inch alloys, red brake calipers and sportier seats. If you want to go a step further you can get the RS Performance Design package, which adds several RS-like touches such as a leather steering wheel, gear selector, centre armrest and floor mats. The car will set you back £3,365 more than a standard RS Q3, meaning a price of £49,175 and is available to order right now, with the first deliveries arriving in the spring. Hybrid-powered cars seem to be the future of the industry and it seems that BMW feel it's only a matter of time before their M cars follow suit. Speaking at the Detroit Motor Show, BMW's vice-president of engineering Dirk Hacker told AutoExpress: "We will look at electrification - I think it could be inevitable - but it depends on the possibility of increasing performance." 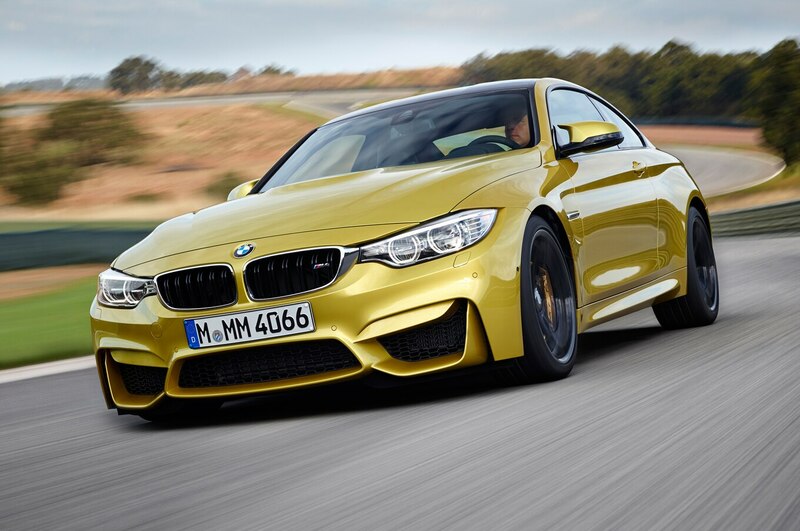 The idea is that electric assistance will be used to make the cars faster and more responsive, leading to even better M cars like the M3, M4 (shown above) and M5. Our instant reaction was to be dubious to the news, however if you consider the wonders they achieved with the i8, you can't help but get excited about some of that technology being adapted and used to take an M car even further. After all, it's BMW M we're talking about here so let's not panic about their future cars - they're just as big petrolheads as we all are after all! Renault have announced their 2016 F1 car entry and the drivers that'll compete in it - British GP2 champion Jolyon Palmer and ex-McLaren F1 driver Kevin Magnussen. The French manufacturer bought out the Lotus team before Christmas last year and much anticipation has been surrounding their return to the sport for the 2016 season. 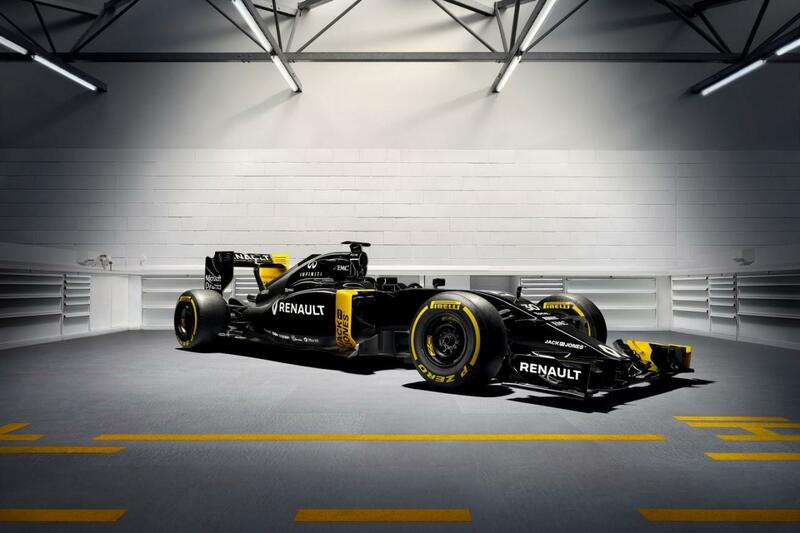 The first question everybody was wondering was how the new car would look, and as you can see it'll be sporting the traditional black and yellow livery that their last car used back in 2009. As for who's driving the car, the drivers are Jolyon Palmer and Kevin Magnussen. Pastor Maldonado was initially in consideration but sponsorship difficulties ended that and instead his team-mate Magnussen was chosen. Joining him is Jolyon Palmer, son of former Grand Prix racer Dr Jonathan Palmer, who won the 2014 GP2 Series under French racing team DAMS. You have to admit it all seems very positive from Renault and gives much to be excited over, but whether the issues that plagued Red Bull last season have been fixed remains to be seen. For now, let's enjoy the fact that Renault are back and see where things go from there! Some of you may recall that a few weeks ago we were waiting to find out if there would be a new world's most expensive car. Well the Artcurial Motorcars auction saw the sale of the 1957 Ferrari 335 Sport Scaglietti and we can officially confirm it did break the record... kind of. Excuse the vague answer, but basically the record is in dispute and here's why. The Ferrari 335 sold for $35.7 million, whereas the current leader is a Ferrari 250 GTO that sold for $38,115,000. Now, you'll immediately think that the 335 therefore isn't the most expensive car ever, right? Well if you consider the fact that the European economy has changed drastically, then you'll see that the 355 sold for ?32.1 million whereas the 255 GTO fetched ?28.5 million. So, as you can see the answer isn't too clear cut. However, in our eyes it's all about today's value and the 355 therefore sold for more, which means it did in fact break the record and is now the most expensive car sold of all time!